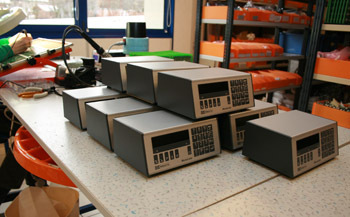 Metro is French innovative company active on the precision mechanical control. Since 1986 our team develops, manufacture and commercialise high-tech products for dimensionnal metrology. - Development of all our electronic printed circuits from scratch. 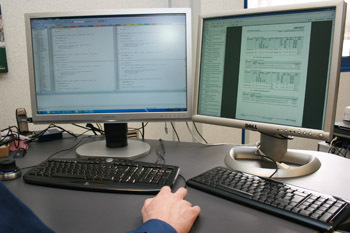 Development of microprocessor's softwares and PC applications. delivery times even for large quantities. in order to serve our customers as fast as possible. - Focus on product development and innovation : Our goal is to offer our clients the most complete range of reliable and high quality products with the highest level of performance according to their needs. Our products are designed to be intuitive and easy to use. - Focus on manufacturing : In order to keep control on the quality and delivery times. We create partnerships with qualified local agents or distributors who can propose a local service on the main markets they deal with. - Efficiency and reactivity : Our product design, supply chain management an internal processes focus on the highest level of efficiency. Our priority is to serve our customer fast and well.